The Uniteam UT machine is ideal for manufacturing companies requiring flexibility in fabrication as well as the needs of a research, training, and design institute like TallWood. CHARLOTTE, N.C. (February 26, 2019) – When Oregon State University and the TallWood Design Institute (TDI) needed a machining solution to support creativity in their new A.A. “Red” Emmerson Advanced Wood Products Laboratory, they turned to Biesse Uniteam and its high performance Uniteam UT work center. When the new lab opens on May 14th, the UT machine will be used for student education, industry training, technical demonstrations, and applied research. 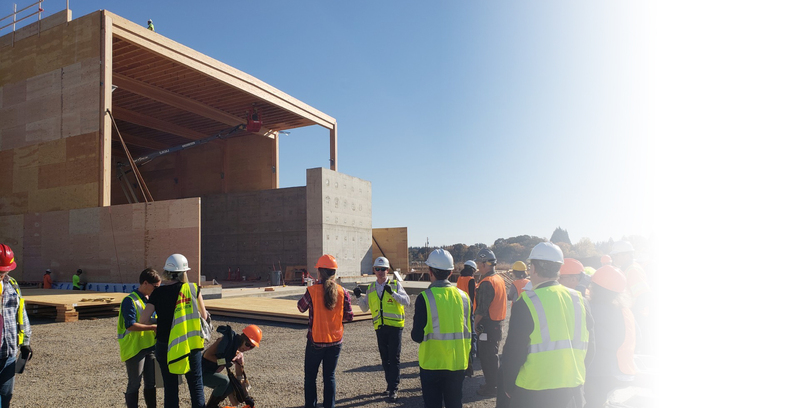 A partnership between Oregon State University’s Colleges of Forestry and Engineering and University of Oregon’s College of Design, TDI is the nation’s leading research collaborative focused on the advancement of structural wood products and mass timber design. “There are several large-scale CNC machines on the market that allow manufacturers to work with mass timber products such as cross-laminated timber (X-LAM) and glue-laminated beams (GLU-LAM),” said Iain Macdonald, Director of TDI. “But essentially what we saw with the Uniteam UT machine was that it had the best all-round flexibility. 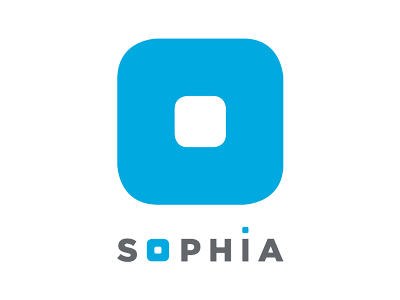 This is really important for what we do - every project is unique, and we will be dealing with everything from scaled-down mockup buildings and product prototyping to full-scale structures for testing. Macdonald said the experience of Emmerson Lab users is likely to be quite different. 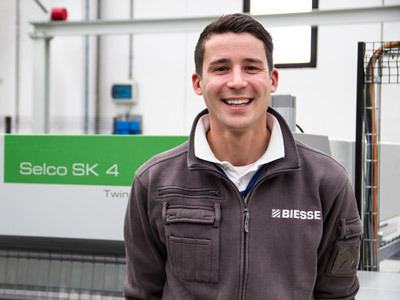 “Our new Biesse Uniteam UT machine will cut mass timber panels, straight beams and curved beams, so it will help us push the boundaries of what can be done with wood. We are really looking forward to being able to use all the capabilities of the machine to do some cutting-edge research projects, help industry understand what the technology can do, and show designers how the fabrication process works. 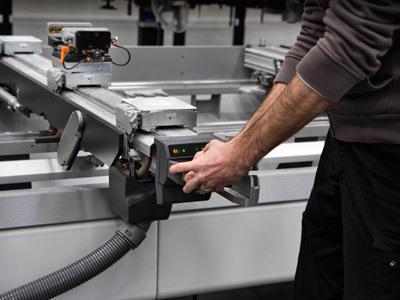 To fulfill our research and development mandate, the UT machine was clearly the best solution for us". Made possible by $6 million in funding from California-based Sierra Pacific Industries and named for Sierra Pacific's co-founder, the new lab has two missions. Half of it will be dedicated to state-of-the-art fabrication. The other half will house a structural testing facility, designed for building up to 3-story structures using mass timber products and destructively testing them for seismic strength, structural strength, and other characteristics. The 15,000-square foot advanced materials lab is one part of an $80 million investment to create the Oregon Forest Science Complex, that also encompasses the 80,000-square foot George W. Peavy Forest Science Center.